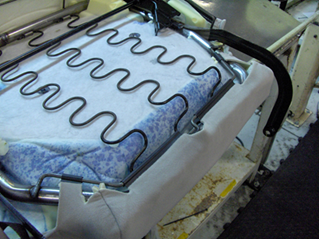 The automotive seating suspension known as Dymetrol® is the award winning solution for automotive seating. Dymetrol automotive seating materials provide unmatched comfort, weight savings, space savings, design flexibility and durability. Recently, Dymetrol fabric has become the ideal solution to lighten automotive seating as designers strive to remove weight from vehicles to meet the new CAFÉ standards, increase cabin space and provide a lighter seat. Dymetrol Suspension System fabrics allow designers the weight and space savings they need without sacrificing durability, comfort or safety. An ergonomic, economic and ecologic suspension system for all types of seating applications. Dymetrol fabric is a seating suspension system developed in the USA and manufactured and sold exclusively by Acme Mills, a company working in automotive interiors since 1917. Dymetrol is made of Polyester which means it’s 100% recyclable, In addition, it reduces the amount of carcinogenic polyurethane foam required and aids in lighter seating which can reduce fuel or energy consumption. As light-weighting efforts ramp up, Dymetrol Seating Suspensions system are the perfect solution for fuel and space savings without compromising comfort or safety. These automotive fabrics typically realize savings of approximately 3 – 5 kilograms per vehicle depending on the application. 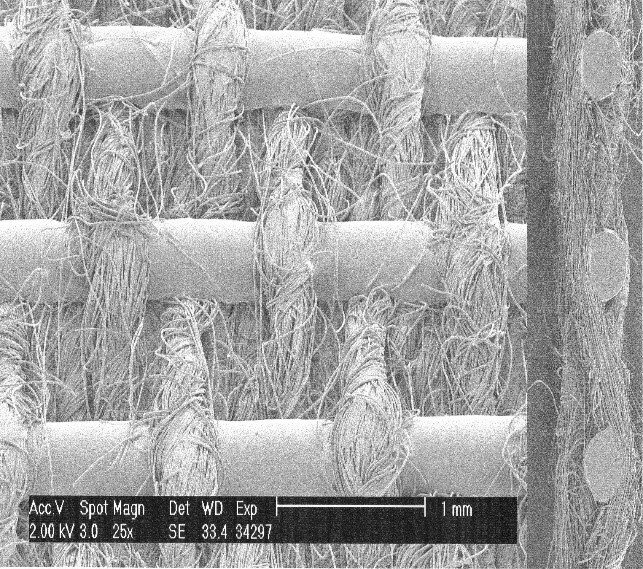 A single piece of Dymetrol will replace the springs, wires, clips, insulators and can significantly reduce the amount of foam used in an automotive seat. – Typical weight savings in an automotive application: 12 lbs. 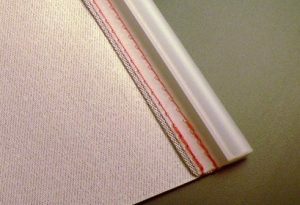 This automotive fabric is a simple sateen weave that utilizes Hytrel® yarns. Dymetrol Suspensions disperse weight load and eliminate hot spots as shown in this independent pressure mapping analysis. When applied properly Dymetrol is more durable than the standard spring set and provides more dynamic strength than any other automotive suspension fabric or automotive seating material. 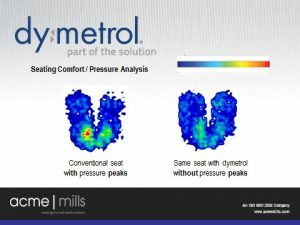 Testing shows that when properly applied the Dymetrol Seat Suspension will reduce pressure points and allow for a more comfortable traveling experience. At the same time this system is creating weight savings, increasing durability and freeing up valuable space. 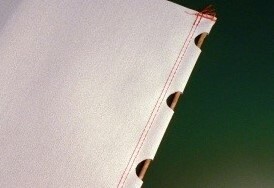 by the individual bond points and the material’s resistance to sag, creep, or permanent deformation. 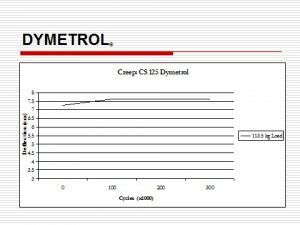 Very low creep, for Dymetrol fabric, means that the product will not sag with time. 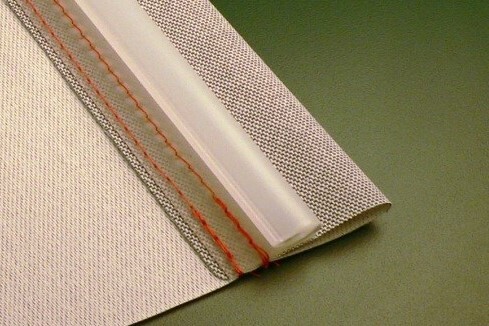 The automotive fabric is pre-stretched a minimum of 5% when installed. 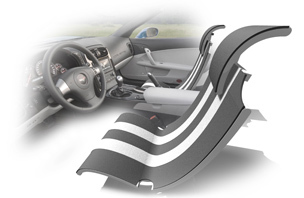 The pre-stretching results in an automotive seating suspension that will provide superior comfort for the life of the automobile. Time and again Dymetrol Seating Suspensions have proven superior in comfort and durability. A Tier 1 automaker used the Dymetrol automotive fabric in a fleet of taxi cabs in Nevada and Florida. This was a test to quickly determine how the Dymetrol suspension would stand up in extremely demanding conditions. Dymetrol never failed. Even after 125,000 kilometers (80,000 miles) and constant 24 hour a day use. Suspension recovery and support remained superior in every tested seat. 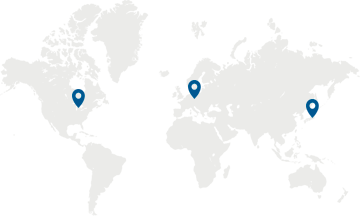 Currently there are ~21 million cars on the road utilizing Dymetrol without a single warranty claim. Working with Dymetrol automotive material eliminates zigzag wires, clips, springs, insulators and reduces foam thickness. 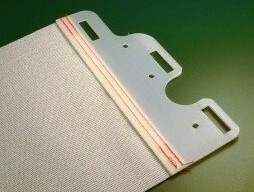 One piece of Dymetrol automotive fabric can replace as many as 4 part numbers from a bill of materials. Installation time and tooling requirements are reduced creating manufacturing efficiencies that lower cycle times. Because conventional seating components are not required, the design possibilities increase greatly. 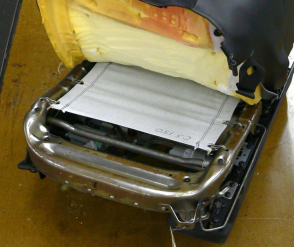 Designers are no longer stuck with bulky foam seat designs. The Dymetrol Suspension System allows for low-profile elegant seat designs while freeing up cabin space and reducing foam. Our engineers work closely with seat designers to provide all the technical assistance and prototyping needed to make a seamless design transition. Dymetrol Suspension fabrics are constructed of polyester yarn and DuPont Hytrel®, an exclusive elastomeric sheath core yarn. 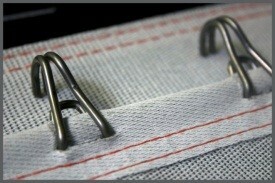 The yarns are heat set creating bond points that act as mini springs. This produces a Suspension System that has a longer life cycle than standard spring sets and will not deform, creep or sag over time like conventional spring, fabric or wire suspensions.